CTi’s last training for 2017 is underway! We have new Dealers attending from Idaho, Delaware, Florida, Massachusetts, Indiana, and Georgia. In the next two days, we’ll cover the application of the CTi product line, the science of concrete repair and restoration as well as the marketing and sales associated with running a Dealership. See our training page to find our dates for 2018 and to register today. The discussions you have with your customer about the Concrete Technology system is one of the crucial elements to your Dealership’s success. The ability to ask the right questions to uncover the customer’s needs along with the ability to explain how the Concrete Technology products fill those needs are the basic building blocks to creating more customers for your Dealership. One of the overlooked elements in successfully explaining what CTi can do for a customer though is narrowing their choices by better understanding what they would like most in owning the product. According to separate studies done by both Columbia University and NYU, a typical customer is most likely to make a decision when presented with two to three options. Once the number of options presented starts to increase, the customers decision making probability drops exponentially. This is especially true in products that are new to the customer where “information blindness” can cause confusion and non-decision. We teach the methods to our Dealers of how to ask effective questions that uncover the customer’s true needs. These needs are the outline for the presentation made to the customer and the basis for the recommendations the Dealer makes when presenting options. The three main choices we narrow are overall look/texture, color combinations, and pattern design. The better we understand the customer’s needs, the better we can make two to three recommendations that fit all three of the criteria uncovered and thus help the customer eliminate the “information blindness”. In the 27 years Concrete Technology has been working with its Dealers, we’ve shared a simple to use business model that has created tremendous success with our Dealers. The model focuses on four key areas that are crucial to execute each day for a successful business. Generate qualified interest in your products by looking for the best ways to market and advertise. An average CTi crew normally installs 2-3 projects per week. A Dealership also will sell, on average, one project for every 4-5 inquiries it receives. This simple math equation provides the starting point for your advertising plan, if you want to keep the crew busy each week, you need to generate approximately 8-15 inquiries each week and then create the business from those inquiries. The ongoing execution is generating the highest value inquiries for the least amount of money. We teach our Dealers how to measure, modify and create this type of marketing plan. Once you have an interested home or business owner on the line, you need to start educating them on the value the CTi product line provides. 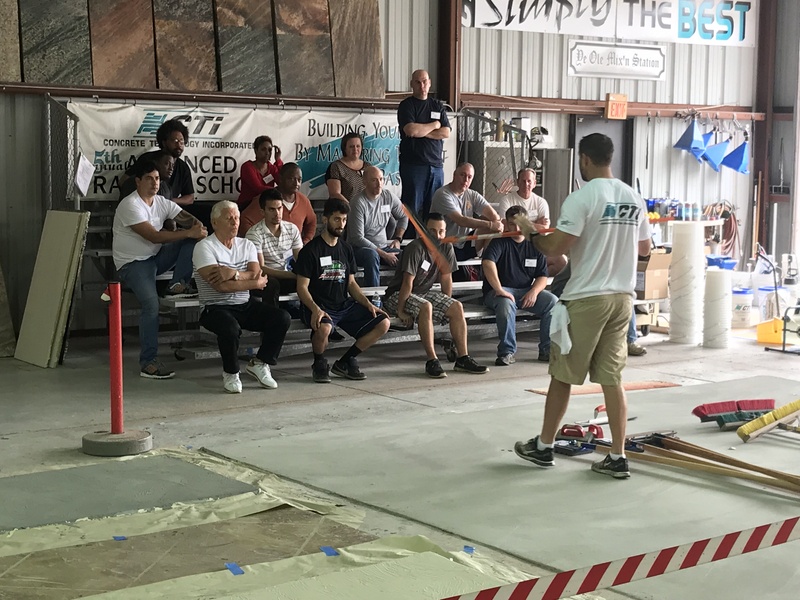 This educational process is crucial to the sales and marketing success of the Dealership, the CTi product line offers a superior solution for concrete surfaces that is price competitive with inferior options. Once the customer understands this proposition, they see the products as getting a better solution for the same, if not less money. We teach our Dealers how to explain this value proposition to lead to the marketing and sales success needed for the Dealership. Install the products cost effectively is the third element in this business equation. Product and labor costs are the elements we look at most closely when we examine this part of the equation. Is the Dealer using the correct amount of product when doing the customer’s driveway, patio or pool deck? If they are using too much, we have specific areas we examine so as to train the Dealer to lower their product cost and thus raise their profitability. Labor cost is the other area we review constantly, a 2-3 person crew can normally install an average application such as a driveway, pool deck or patio in 2-3 days. If the project takes longer than the average, again we have specific areas we review with the Dealer to create better efficiency and thus raise their margin on the project. Managing the cash flow in the Dealership is the final element. As a CTi Dealership grows, investing wisely in its growth is the key to long term health. We work with our Dealers in making the correct decisions in this regard based on 27 years of seeing Dealerships grow across the world. Balancing the income the Dealership is generating with the cash outlays needed to further growth is the focus here. We have some of the finest business people in the world operating CTi Dealerships around the globe. Their execution of this business model has led to tremendous success and a business the Dealer enjoys operating. We’re excited to announce the release of Concrete Technology’s “F1 Fast Floor System”. 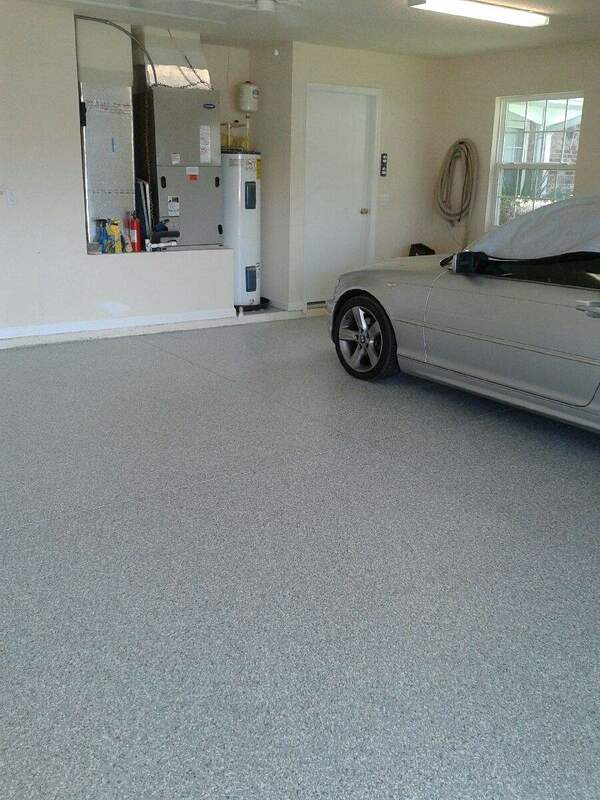 This new flooring system is perfect for garages, workshops and other areas where a tough as nails coating is needed with a quick turnaround on the installation. The F1 Fast Floor can be installed in one day on most residential applications. The product will cure and harden to take vehicular traffic within 24 hours. 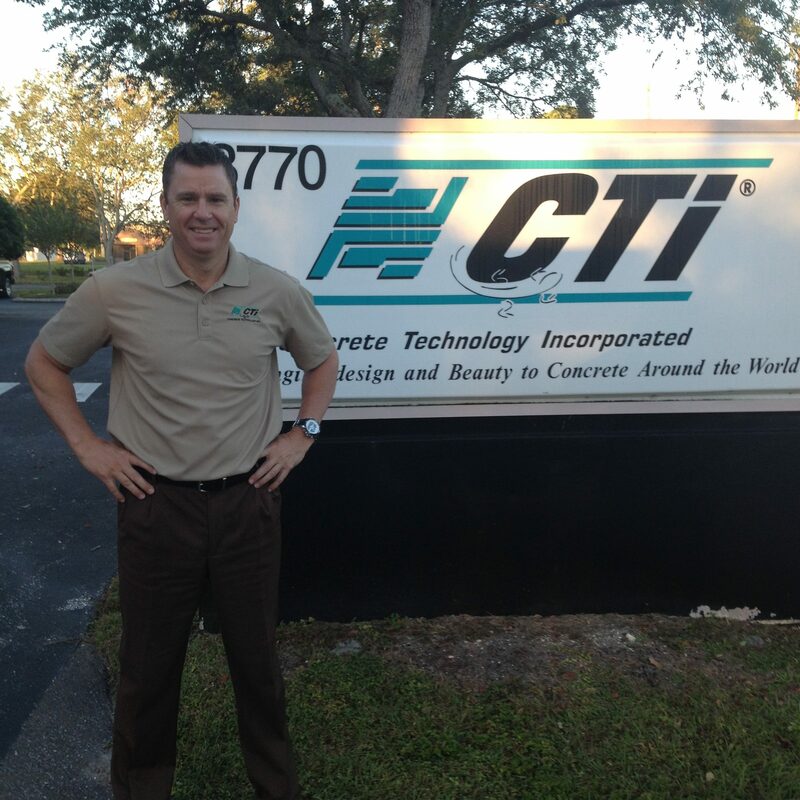 We want to wish Kert Rhodes, Senior Dealer Advisor, a happy 7th Anniversary with CTi. He is a tremendous part of the CTi team. Congratulations to our November Dealers! 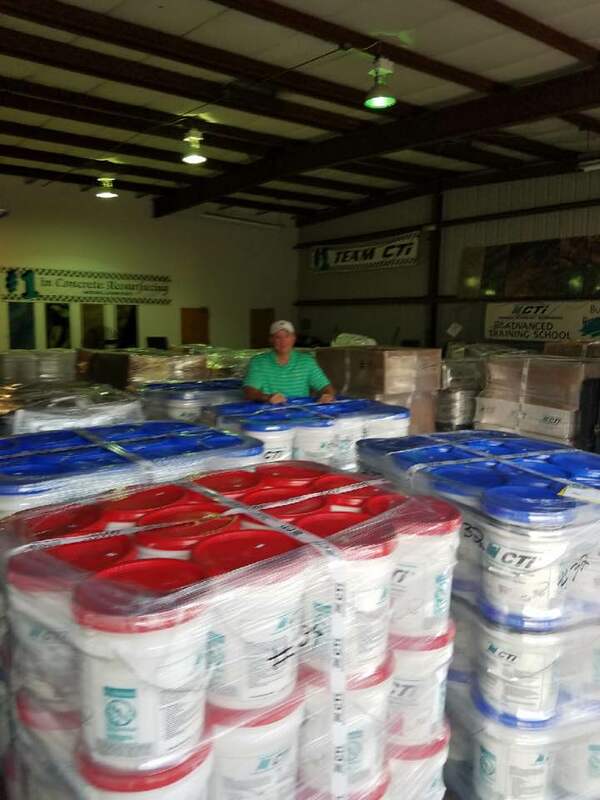 Being a CTi Dealer is an Exciting Way to Own Your Own Business! Getting ready to ship to our Middle Eastern distribution center looking forward to working with Hakeim!